I’m writing about back problems and Rheumatoid Arthritis since I’ve been asked several times to discuss this topic. This is a blog that is a mixture of experience and questions, not a scientific examination or review of all back issues. Like many with Rheumatoid Arthritis, back “problems” plague me – some car accidents and injuries add to the RA. For years, I lived with chronic pain not knowing the causes, being laid up for a few days or several weeks, neglecting to seek treatment. If you’re curious about my history of “denial” with medical problems, please see my full e-patient story on e-Patients.net. Over the past year and a half, I’ve been looking for back pain answers. It has taken awhile to find someone to do tests and look at the MRI of my spine and consider what treatment should be done. I’m not going to detail my back problems here. I have never discussed them before because I don’t want to take the spotlight off RA and similar serious autoimmune arthritis diseases. But I’ll discuss some parts that I think relate to RA because I’ve heard from so many other Rheumatoid Arthritis patients with back pain. Of course our friends with Ankylosing spondylitis know back pain well. Some have tried to set me straight about whether Rheumatoid Arthritis can affect the spine. Let me count the ways! Degenerative disc disease is a problem is common with RA. It does have an inflammatory and possible auto –immune component. The discs can degenerate in anyone, but with RA patients, it can be accelerated. I wonder if this is related to the accelerated aging that is sometime attributed to Rheumatoid Arthritis. An example of that is the increase osteoporosis and osteoarthritis that RA patients also experience. However, my doctor is less interested in my damaged discs since he suspects my pain is related to RA in my facet joints, which join the vertebrae. The synovial tissue can become inflamed and the bone itself can be damaged by RA. The doctor gave me literature describing the function of spine joints and how the treatments are performed. It’s very informative and, when I read it in black and white, I cannot understand why so many people are confused about whether RA affects the spine. There are books and websites from “reputable” sources that say it’s not possible. Odd. Last month, I had some facet joint injections in 4 lumbar joints. I didn’t notice much difference, but I want to share in case this helps anyone else. This procedure is done with needles. It is outpatient, much like going to the dentist. There is a local anesthetic injection and then a steroid is injected into the facet areas to decrease inflammation. You can get back off the table and walk out in five minutes. The worst part is the anxiety of someone poking you near your spine, but I’ve read that some doctors will give a relaxation medication to make it easier. The guy who’s working on my back has never looked me in the eye in three visits. I don’t think he’s worried about whether I’m nervous. But so far, I’m ok. The next procedure that we have planned is completely different. There are two different joints that have caused pain for many years which he believes relates to RA. One is cervical and one is thoracic. I have pain running down my arm from one; and the other causes migraines and ear pain. The first step of the procedure is a medial branch block (here’s a cool video explaining this procedure) to anesthetize the nerve to the facet joint by injection. If this relieves the pain for a few days, it confirms that the culprit (correct facet joint) has been found. Second step: Radiofrequency ablation destroys the nerve endings of that facet joint. The doctor said that if it’s successful, pain relief typically lasts nine months. That is the time it could take for the nerve endings to restore themselves to their former annoying levels. I can’t imagine life without back or neck pain; I lived with it for so long. But I’ll tell you what I told the doctor: I can’t do it anymore with RA. I can’t compensate using my arms to hold myself up or drag myself around when my back goes out because my hands, elbows, wrists, and shoulders cannot withstand my weight. I am just as nervous about these treatments as others have told me they are, but it’s just like the DMARDs now: I have to fight if I want to have any life at all. That’s just what I’ve decided. Another important back problem related to RA is instability. RA can cause instability anywhere, but if this occurs in certain joints, it can lead to paralysis or death. I’ve interviewed an RA patient, Nicole Bradshaw, who survived the most devastating result of cervical instability, basilar invagination. Nicole was lucky; it can be fatal. I’m reviewing a book on this topic called Death by Rheumatoid Arthritis, by Carla Jones. As I’ve stated before, neck involvement occurs in the majority of RA patients – about 87% have cervical spine involvement within two years of diagnosis. Please note – whenever I talk about the spine, I mention a warning that a prominent chiropractor gave me. She told me never to allow anyone to adjust my spine since it is affected by my RA. The instability mentioned above can prove devastating. Not every RA patient is affected by this warning, but I feel it is critical. ← Is It Time for Rheumatoid Arthritis Awareness? Kel, I have that oddessy to figure out too. Like Warm Socks has with her daughter right now. I hope these treatments will provide some great relief for you and help you untangle at least some of the morass of all the pain that you and many of us go through. Thanks for posting this information. I could have written a couple of more pages about my back. I was trying to keep it to the RA realm & a reasonable length! LOL. But, yes, it can be a messy tangle of issues when you have more than 1 diagnosis. The doc does say this frustrates him about my case, but we both agreed that this is a good next step. I was glad that I have this option. 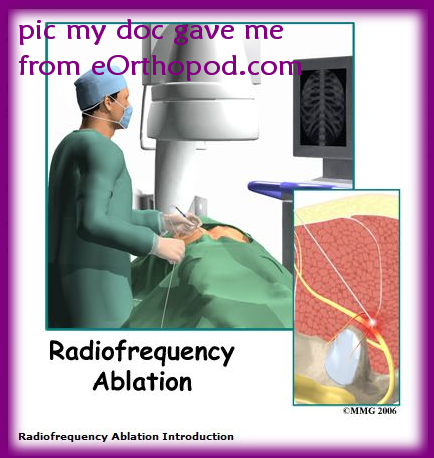 I have had wonderful success with radiofrequency ablation!! After the first time i went through the procedure, I was actually able to sit through an entire movie, COMFORTABLY! what a concept!!! I was also able to cut back on the painkillers that I have been forced to take daily, every four to six hours, for the past 8 or so years. The results lasted a good four months, but in doing some research, it looks like they are now realizing that with continued treatment, the pain relief experienced begins to last longer and longer! unfortunately, i have not had the procedure in a few years. i have been fighting with my insurance company to cover it. hopefully they will finally authorize it soon. the joy of being able to sit comfortably, without needing to constantly “fidget” or try to find less uncomfortable postures or take more pain meds is true bliss! Thanks, Jennifer. It feels good to have someone say it works. The whole thing is a bit scary right now. I know EXACTLY what you mean. Have not been comfortable in so many years. The RA & the back pain taught me to separate mind a body a bit & “ignore” pain. My rheum doc says that I just “go to another place” and it’s evident during a joint exam. What is your insurance company’s problem??? Kelly, I have had the procedure (radiofrequency abalation) done twice…the first time in 2008 and again in 2010…I also paired it with physical therapy and the combo really helps my back pain and I can now sit for longer periods of time more comfortably…I have had chronic low back pain since 1995 and after several chiropractors and therapy this is the only procedure to give me long term relief….I will do it again if needed! Good luck with your procedure…. unfortunately i am paying for private insurance out-of-pocket right now (i was a student but have been completing an unpaid internship which required that i pick up an individual insurance plan for myself). the insurance company is claiming that the procedure is not ‘medically necessary’ and is an ‘unproven’ treatment for arthritis. this really kills me since i have experienced such success with it years earlier. to make things worse, i recently spontaneously ruptured an achilles tendon. this is virtually unheard of in a seemingly ‘healthy’ and young individual such as myself (i am only 30). the doctors have expressed that my RA could have played a role in this, but i have not been on steriods (prednisone) which would have increased my chances of spontaneous rupture. i have been on plaquenil and relafen (nsaid) for years now and the current research states that these meds should not have contributed to the rupture. kind of interesting. anywho… back to the radiofrequency ablation. it is such an easy procedure! (if you are stressed or worried about, just ask your doc to prescribe some anti-anxiety meds to take prior to coming in. i did this for the last procedure i had done and surprisingly ended up being much less sore the next day than i had been without it… i suspect that this was because the drugs made me more relaxed for the procedure). just being able to sit comfortably made such a HUGE improvement in my every day life! and there are not any studies suggesting that continued treatments bring harm (unlike repeated steroid injections into the joints). Best of luck with your treatments! I started with back pain that went to sciatica swiftly.. For many years this was my dx.. Intil one doc decided to draw my blood. Then i found out I had congential spinal stenosisis on top of ra and 5 bad disc from a fall i had taken in june of 08 the spine shows along with spinal stenosis damage from ra..still awaiting a MRI i doubt i will ever recieve.. Tomorrow I go in at 10am for cervical spinal surgery at noon. It is a revision surgery on the surgery I had almost two years ago at the C3-4 – C4-5 vertebrae. There was no question with my surgeon that the spinal and foramenial stenosis in my back has been caused by the affects of RA and the medications I take for RA. By the time I had my first spinal surgery the question wasn’t IF my problems were caused by RA, but Why in God’t green earth it took this long to get into a spinal surgeon to get things fixed. It took my going behind my Rheumy’s back and having my PCP’s Nurse Practioner give me a referal to the Spinal Surgeon. I told her I has having ‘new’ pain in my back. lol, well ten-twenty years NEW! But you do what ya gotta do. We shouldn’t have to do that, but it worked and I am getting the treatment I need. My first MRI of my cervial and lumber spinal sections were a laundry list of what can go wrong with a spine. If someone is still at the point were injections and ablations can put off surgery, do it. I’ve had to work with insurance companies who insist that you do PT, and get the injections (ESI, Nerve Blocks, and Those lovely Facet Joint Injections). The best an injection could do for me was act as a diagnositic that they problem was at the point they thought it was. That’s Good. Otherwise your doctor could end up doing surgery on the wrong level in your spine. Althought now I know I can have sedation when I have those injection, and boy, do they make a difference! So please think healing thoughts for me tomorrow, and ask your deity to guide my surgeon’s hands. I have a screw backing out of the plate at the C5 and has started to press against the esophogus, and a partly failed fusion at the C4-5 level. This is someone that rarely happens, I just am luckly and get the rarely happening things more often than others. So don’t think that surgery is bad, it is not. I would do it all over again, well I guess I am. And yes, my surgeon thinks the RA has played a major part in needing more surgery. PS, I actually got a complement from my new Lung Doctor for know how my RA medication works, and wanting to know in detail what the Lung Function Test results meant. So being an ePatient isn’t a bad thing for some doctors. I prayed it goes well. I hope we hear good news from you soon. & Yes, good doctors do appreciate e-patients. Hi Cynthia, have you joined http://www.huff-n-puff.net/newforum/index.php. There are patients there with lung disease related to autoimmune diseases. I’m so sorry to hear about your back pain. I recently have discovered that I have two bulging discs at L5 and S1 that have been pressing on my right sciatic nerve since February. My Physical Therapist also thinks that I have a pelvis joint inflamed because he is able to “unjam” it after elongating the joints with traction for a few seconds. (That one is confusing to me since I can’t “see” what he’s talking about.) I have recently had an epidural steroid injection directly into the two bulging disc joints. A live x-ray machine was used to pinpoint the location, and my doctor said she was able to get “good flow” from the steroid. She was right: I immediately felt relief in my right hip and leg from the injection. It has been three weeks, and I’m still feeling good. I pray that your procedure helps you tremendously. PS–I read a truly inspiring memoir by an author who suffered severe neck/spine pain. 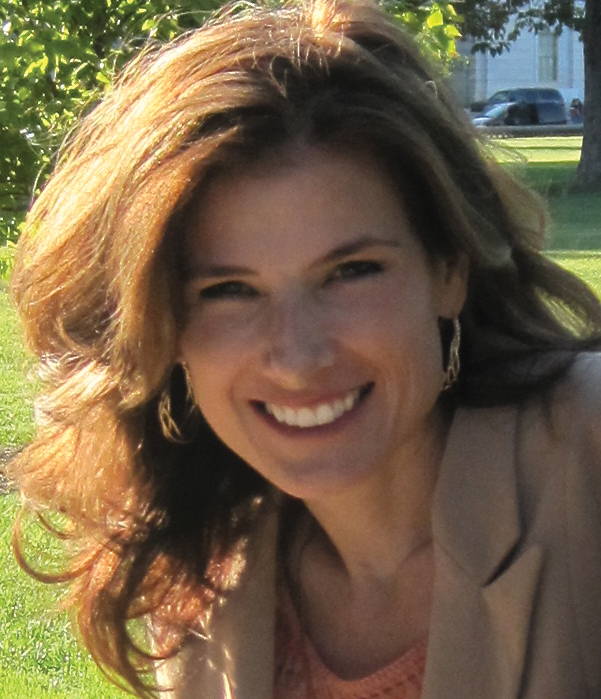 Her name is Joanne Greenburg, and the book is titled “The Body Broken”. Thanks, Shannon. It hasn’t helped yet, but I’m still hoping. Yes, my doctor also useus the live xray. Isn’t that amazing? I was told by my rheumy that ra doesn’t effect the back. I went to see him for a check up and he asked me how I as doing and I told him about my hips and back hurting me alot. He then explained to me that I must be mistaken about my back because ra doesn’t effect the back. I’ve always believed that he was wrong and now that I’ve read this article I do believe that. I think I’m gonna print it off and give it to him to read. thanks so much for writing it!! your awesome!! I will be having the Thoracic Medial Branch block in 2 weeks. I think? They are not sure yet if I should go off of my blood thinner for one whole week before procedure so I will find out today if they are still going to be able to do it! (Pray that they will) My Thoracic spine has been a real PAIN (in the back LOL) for years. I have had MRI’s galore and x-rays and all they have ever said is that it is Degenerative Disc Disease which is common for woman in their 30’s??? 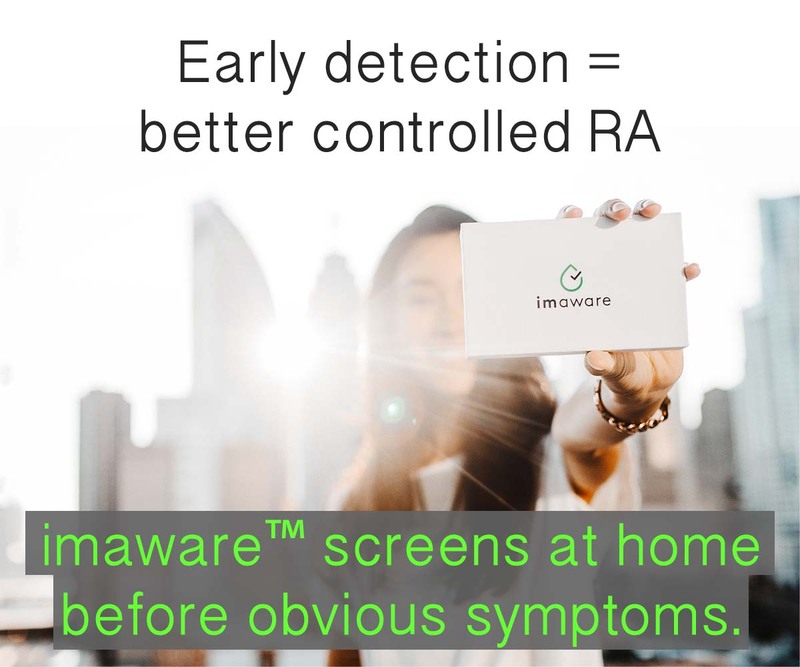 Well, since I have been diagnosed with RA I know that there has to be a connection. The pain is unbearable in my back. The Doc’s are still certain that it has nothing to do with RA but when I go back in I am going to address it with them further. It is my T-4, T-5 and T-6 vertebrae that are really affected. Thank you so much for being you Kelly. Your blog gives me the courage to want to fight this and get awareness out there. Your blog is also my warm fuzzy because almost everyone I know including my family members still don’t understand how serious RA is and how painful and disabling it is. (My kids and husband do though). Like I said on Facebook, I found out how to start a Foundation and am working on it very hard. I will talk with you soon about it. I am a 36 year old male with degenerative disc disease and rheumatoid arthritis. Ive had problems with RA and gout for more or less 10 years. It is possible to have both. Trust me. I also strongly believe that RA and cervical spine problems are related. Within the first two years of my RA diagnosis, I started “losing” my left arm. That’s what I call it, because my arm tingled, went numb, and totally became weak and worthless. I pretty much knew what was going on from being able to research the internet. I got an MRI. I’d heard about the throat/neck being cut, and it scared me to death. The first visit to the neurologist, the doctor walked in the door with a model spine to show me how the surgery would go. He said we’d go through the back(posterior) and I’d be good to go. I can’t even remember which cervical disc it was, but I had a posterior discectomy and lamenectomy. I woke up with no pain and was very happy. Three years later, and I have had three surgeries on several cervical discs. The other two were full fusions from the front(anterior) with titanium hardware. I have a very good neuro and lots of people get the fusion surgery, for one reason or another, but there is something different about mine. 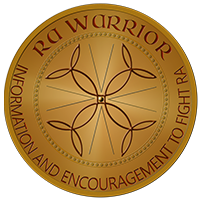 I guess what I’m trying to say is, that people that don’t have RA can heal faster and go about there business easier than a typical RA sufferer. There are so many RA factors that can can make cervical problems difficult. The medicines alone; prednisone,cortisone shots, immunosuppresent drugs. These drugs alone, can cause serious problems with healing and bone fusion. Also, watch out for the trauma and stress of having surgery where your neck is cut wide open and all that goes with it. Those things are the building blocks of an epic immuno response type flare up.. My elbow got baseball size for weeks after one operation, which was exacerbated because of rebound from corticose steroids. If you take them, the fused bones won’t be as strong. Some surgeons will let you stay on the prednisone,methotrexate etc-the types of medications that hinder bown growth, and all around healing. I actually have flares in my cervical spine. I’m having one today. It is just like a flare in my wrist, finger or knee. won’t pay it much attention. I know there is a link due to personal experience,and a while back I browsed through medical notes and books for information on the topic. There has been some work on the medical relationship between the two, but it is slim and hard to find. However, one thing I did find out was from a study I browsed through at that time. It did seem to have evidence supporting that men with RA are more likey to have cervical problems than women. So, like all topics, I’d like more research to be done on the subject as a whole. There are so many things being accomplished in the world of medicine. I sure wish wish they could find out the the relation between the two and what it means. It is bad enough we have to suffer RA. Not knowing why my back deteriorating and the speend in which it is, really bothers me. It really does. Hi Wesley, Thanks for your comments. There’s a lot of info here. I also have flares in the facet joints in my spine. They are like you say – just like the ones in my wrists, knees, or fingers. Haha. I just looked & we used the same examples. Well, they are also like my sternum & ankles… What are we to do if we need surgery & flares are non-stop? It sounds like they usually try to do it between flares & your post shows some reasons why. But some don’t have breaks in disease activity. Then what? I realize its confusing for my docs to have my DDD & the RA flares, the OA, the spurs & try to sort out all the nerve pain, but it’s hard to live with too! The most important thing is that the doc has knowledge of the issues. Then if one finds a doc who knows about these issues, that will LISTEN to the patient describe where the pain is & how it behaves. Along with the mri’s this is so critical to deciding treatments. It sounds so simple. Also, docs & friends have both told me that when one spine joint is gone / or operated on, then the surrounding ones are much more likely due to unnatural stress on top of disease process. That sounds like you. Sorry. Did you see the recent post related to the degenerative disc disease & pain cause? It is point #3 on this page here. This was very interesting to me and believe it to be true. I had 4 surgeries during active un-diagnosed RA. 2 in my shoulder, 2 in my knee. The second set was a repeat of the first with more injuries. My knee was swelled up huge for 2 years. Now I’m looking at replacements. The immune activity went crazy from the trauma. It doesn’t seem like the best idea for patients with active disease to have surgery, unless I’m missing something. Kelly, interesting. I got your site from the AOL article. It is good that you are speaking up and making the general public more aware, and hopefully doctors will pay more attention. I had a similar experience (I’m on HMO)and, at the age of 58 was diagnosed with LUPUS/SLE. (docs have traced my health history and think I actually had it when I was 21, just never got diagnosed) I have had on going back and hand pain for 25 years. It started with rheumatic fever. I had some back surgery a couple years later, and since then every time I had back pain the doc would attribute it to a “bad back”. A couple of years ago, I had severe neck pain and the xray showed lots of arthritis. Then I developed unusually severe mid back/thoracic pain. The orthopedic guy looked at my xrays, from neck to tail bone and said I had more arthritis than he’s ever seen in anyone’s back at my age (then 56) without an underlying disease, and he sent me to a rheumatologist. She did not think much of it then. Shortly after that I got episcleritis, three months later pericarditis, two weeks later pleurisy and then nearly died of cardiac tamponade, caused by a very large cardial effusion the cardiologist missed. (six weeks before hand I had trouble breathing; ran a temp every day for six weeks). Fortunately, my rheumatologist insisted they repeat a heart scan when I went to the ER after a convulsion. Shortly after that,they found the cause – lupus. I am lucky to be here, but am now on major drugs, steroids, imuran, plaquinel. I was on disability for 6 months and have been full time for the past four months. I still wake up with a lot of hand and joint pain. My point here is that you need to be diligent in pursuing medical care. You have a beautiful, healthy looking face, as I do. I believe that works to our disadvantage because a doctor sees us and thinks we’re perfectly healthy. I had given up and nearly died for it because no one would help. Even tho I was contacting my doctor (because I could not breath well) twice a week, I should have switched docs. Two days before I nearly died, my MD was giving me anxiety pills! RA runs in my father’s side of the family. His grandmother was bedriddent with it, and died at the age of 55. My grandmother was crippled with it for many years. One of my cousins and my twin has it. Best of luck to you, and your readers, and thank you for this informative site. Thank you for sharing Barb. You are right about finding a doctor who will listen and treat – it seems like half the battle for many. What a hard thing. All of those “co-incidences” you had with your health and family history sure sound like RA or Lupus to me – I don’t see how a doc could take it lightly and give xanex or whatever, but I hear of it often. I’m afraid the computers see this list as spam. In 2000, I was diagnosed with cervical spondylosis. Since then I have had near-constant neck pain. In 2008 came the Sero-Negative RA diagnosis. I now see how they can be linked. Not to mention I now have Ankylosing spondylitis and “arthritis all up and down my spine” according to my rheum. I see it all inked now. I’m going to print this page out and take it next time I have an appointment. I need relief. I’m glad you mentioned chiropractor too. If one more person suggests one I can tell them what you’ve found out. Thank you for this article. I have a problem with severe lower back pain when I stand or walk for more than a couple of minutes. I’ve mentioned this to my rheumatologist, but he told me that RA does not affect the spine. I don’t know if my RA has anything to do with it, but it did seem odd to me that a disease that can damage so much of the body could not damage the spine. Or the feet, but that’s a whole other story. Wow, Kel et al, I feel like I am seeing my life in rewind! RA dx 22 yrs ago. Back pain started w/in 5 yrs. Mine was lumbar, along w/ extreme pain in hip and SI joint. General ortho thought OA. Yrs. passed w/ epidurals, crawling, alternate therapies all to keep me mobile and working. Finally, Mon after Thanksgiving, 16 yrs post dx, I couldn’t stand when I tried to get out of bed and then was incontinent on bed. Horrified. Son, ER and hospital. Referral to a SPINAL OTHOPEDIC RADIOLOGIST then a spinal Ortho. These two docs said on a 1 – 10 scale, my back was at least a 12, one of the worst they’d ever seen. I had DDD, blocked facet joints with impinged nerves, collapsed vertebrae, missing disks and so much arthritis around my spine itself that they were afraid of perm. damage. Duh. I had endured b/c I was told everything should be better. Hah! I had a fusion, with bone from my hip, of vertabrae from S-1 to T-12. I also hardware-cage down low, bars and screws on up. Told I had about even chances of successful service, I was delighted. News of the state of my spine was tough. My spine had been attacked by RA and the damage continued in more disparate places, all through my spine. More surgery is in store. Rheumy saw the films and also remarked about the RA and my spine, saying he didn’t think it was RA b/c it was not cervical. Now he listens. Maybe this will help someone. Find a spine specialist to treat you, though. He was amazing! Hope this helps someone. I’m so glad to know this. I’ve had six lumbar fusion surgeries and currently have four more “herniations” or disc degenerations as well as many many ‘bulging’ discs…I also have severe arthritic detrioration in my spine as well as several bony growths attached to my spine…It is affecting my cervical area in particular. I am mostly bedridden by the pain from this. However lying in bed also causes severe pain after more than an hour, so I have to alternate with a recliner. Back and forth, all night long. I usually do not get more than two hours of sleep per night. The doctors say that because the damage is so profuse and severe, nothing more can be done surgically. Epidurals are impossible as there is no facet access to my spine. I’ve gone through numerous attempts. NO one seems to be aware that this is the result of my PsA. But I know for sure that it is. Even my rheumatologist is attributing the damage to OA. Why then has it mostly all occurred in the past four years, since I’ve been diagnosed with severe PsA? And why should I,a 48 year old be completely crippled by OA? Aren’t I too young for that?? It’s all BS and I wish I knew where to go to get decent, informed treatment. Thanks so much for this article. Now I know I am not alone. Chiropractor helped me for years. Also his therapies-EMS/TENS, massage, heat, ice and a cold laser for scar tissue. I still do many of those. OMG Kelly, this is exactly my story right now. I am having the blocks done right now. First were done with Lidocaine and the results were outstanding. I had a day of no pain, increased ability walking, climbing stairs, etc. etc. etc. 2nd set of blocks tomorrow with stronger anesthetic, bupivicaine. If this set works as well as first, on to the RFA. If I can enjoy a few months of decreased back pain, they will be the best months of my life!!! I hope it works perfectly for you Marianne! Allow yourself rest days after the RFA just in case – everyone responds differently – those nerve fibers can get annoyed as they die off and complain. Ice and rest were helpful for me. I have a lot of lower back pain, around hip area can be severe! Also the same problem with migraines & ear pain. My rheumy keeps telling me that the sine can’t be affected in RA. Good morning Ruby. Just in case, sometimes joint pain in lower back near hips is actually the joint where the spine joins the hips called the sacroiliac joint or SI. I truly believe that RA can affect the spine. I have had severe lower back pain coinciding with the presentation of my RA. It was first diagnosed (though not Via imaging) as sacroiliitis. However, my rheumy isn’t quite sure if it is coming from the SI joint, s1 or L5. Frustratingly, MRIs of the pelvis and spine are clean. The pain is so severe that I can barely walk. Sitting in a chair and lying on my back are also very painful. There are times when I have crawled on the floor to the bathroom (kinda pathetic). The strangest issue relating to my back pain is that it’s accompanied by a large circular swelling directly above my buttocks. The swelling flares and recedes, much like RA. I can’t find anything online about low back swelling. I wish I could post a photo- it is really dramatic. Tumors and bulging disks have been ruled out. So what’s left? RA or AS. Yet I can’t get a doc to admit it! I’d love to know if anyone else has major visible swelling around L5 or S1. Bottom line is it doesn’t matter whether it happens because you have RA or not – it needs to be treated either way! I also meant to mention that the swollen area in my back is hot to the touch and very painful when touched. Thank you Kelly! I have never heard of a standing MRI. That is something I will research tomorrow. I have Tramadol and Flexeril for my back, and they do help. I am on Mtx and Rem for my RA, but these treatments don’t seem to help my back which flares on its own schedule. It’s no fun being the “mystery patient”. I just want to get to the root cause. Yes, I’m glad u have some relief by treating the symptom! but I agree, u also need to try to hopefully figure out the cause in case it can be treated. they are making a lot of progress w/ different procedures & micro surgery to repair things. so there is more hope for these back issues than in the past. Sometimes, if surgery not needed yet, they can do injections to make it calm down for a while. I hope u find a good back dr who knows. Ps: look at the links to the case studies on that standing mri. that convinced me – after a technologist told me how it works. I just went to a pain management doc for a second opinion on my back pain and swelling. He reread my MRIs and found an annular tear at L5/S1. This is exactly where I have the swelling. So perhaps I am getting somewhere! Thanks for giving me the “boost” that I needed to pursue this further. It’s hard to imagine that a disk tear could cause this level of swelling, but there isn’t any other explanation. Gosh we are “sisters,” Marie. 🙂 Glad you are pursuing help! My back pain guy was the only-show-me-top-of-shiny-head guy. Never made eye contact in a couple years. Anyway, he moved. So I’m meeting w/ a new one too. It’s hard to get answers – you have to find someone knowledgable, who will listen & who will communicate w/ you about what’s going on & options, etc. Good luck. Thanks for sharing your wisdom on this Kelly! It is really difficult to find a doc who will take the time to explain these types of things. Most of what I know I’ve learned from your site and from my own research. As patients, we have to be extremely proactive if we want answers. When none of these are present, he suspects inflammatory arthritis (even RA). He even said that the visible lumbar swelling could be from the facet joints. YAY!!! Not for your pain my dear, but for a more thorough report and a dr with his eyes open. I’M SOOO Glad for you! Thanks Kelly for all your info. I have had thorasic pain at T5 to T7. After seeing my Rheumy, a pain specialist, a CT scan, MRI and bone scan, and then finally an orthopedic surgeon and having 16 facet joint injections (V V painful and no relief) I was diagnosed with bilateral scapular birsitis. I had scapular injections with no relief and am now comtemplating radio frequency abolation………….. scary prospect at 42 and trying to work full time as a midwife which is such a physical job. Any action which envolves lifting anything no matter how light or prolonged abduction or aduction of my arms is unbearable. Has anyone else been diagnosed with bilateral scapular birsitis…… and if so what treatment have you been offered or recieved! Thanks!!! How timely this post is for me, Kelly. I am being seen by a neuro for ulnar nerve damage and am being evaluated for possibly peripheral neuropathy (which I strongly suspect I have in my feet). Today is my conductivity test. I have also been suffering from headaches that resemble migraines, neck pain, and spastic muscles in my shoulders. I mentioned the blend of symptoms to my rheumy, whom I have had nothing but reverence for, and he told me that RA doesn’t affect the spine, and neuropathy is not related to RA!!! My GP thinks all of these issues could be related to my cervical spine. The neuro initially recommended seeing a myofacial chiro, but I am going to talk to him today about the headaches and insist on at least having a baseline imaging study done of my cervical spine. I am terrified of the possibility of atlanto-axial subluxation, and since I am having neurological issues now too, I want to be especially cautious. I am only pushing 29 years old, and I have two young children…I cannot let this go without at least trying to put my mind at ease. Oh, and I have an appointment scheduled with a new rheumy, who is supposed to be excellent! Since the age of 21 I have suffered extreme lower back pain and hip pain. This came on when my ra unexpectedly flared. After a couple years trying various medications and pain killers, my pain clinic specialist suggested radiofrequency ablation. What an amazing procedure! I had it done on from L4 – S2 joints and after a few days was fairly pain free in that area for almost 4 months! Finally I could sit through my college lectures and even a movie at the theater! What joy! Unfortunately I have since changed insurance and my plan will not cover it. If I could find a way to pay for it myself I would be it is unfortunately not an option. I dream of the day when I can have a better insurance and can go through the process again. According to many studies, it starts becoming effective for longer periods of time after each subsequent procedure. I highly recommend others to give it a try if possible! I’m not sure where to post this, but since everything started with my back I’ll write it here. I am 33. Not yet diagnosed w/RA, but undergoing all the tests. For me everything started almost 6 yrs ago when I had my first child. Like someone else said, I thought it was the epidural. Constant pain lower back & hips. MRI a yr later found DDD & OA @ L4/L5 & T11. Bulging discs. NCS showed radicalopathy @ L4. Never any testing on my hips. Turned away by neurologist whenhe couldn’t do anything. Haven’t had even a second of no pain since this all started. Done PT, ESI, pain management, trigger point injections, etc, etc.. Dx a couple years ago w/fibromyalgia for all the muscle & other body pain. W/in,the past two months I’ve started having neck & upper back pain w/lil mobility in my neck. Few weeks ago my left foot felt like I sprained it. Next day, my right foot. Like I was walking on two sprained feet! Week after that my left wrist. Thought it was cuz I use that hand to constantly “adjust” my position or help myself up all the time after sitting. Felt like it was sprained. Few days later my left elbow. Then it was my left elbow. Thought that was from carrying my babies carseat. New baby is 3 months old. All this new stuff happened after she was born. A lil over a week ago my right wrist & elbow started in too! Pain & burning. I don’t use my right arm to carry baby. Next day, both elbows, both wrists, both hands, all fingers! All hurt, burning & redness on hands, feeling swollen but couldn’t tell myself by looking. I felt “crippling?” Next day, my knees started! Then my feet, heels. Thought I’d be totally crippled by the time I saw my doc who’s seen me through all my back pain. When I finally saw him this past Thu & told him everything, he was very concerned & talked about RA, sent me for blood test, & xrays on Mon. After xrays he’s gonna refer me to Rheumatologist. Said RA could explain everything I’ve been suffering the past six years! Can RA spread that fast tho like it did just this past week? I also had a low fever a few of those days w/flu/cold/sinus symptoms. Debbie these are all the same things I’m going threw right now to and it’s scary! With the burning , pain in back ! All really flared up after having my baby to . Hoping I don’t gotta wait long to see the specialist . Well, this about sums it up, I had a theory, but after reading more of these posts i believe my theory can become fact. I believe that RA “IS” a back problem gone viral (no pun intended). I’ve suffered greatly for over 10 years, the first couple years my greatest hope was a state hospital or nursing home – I was rendered helpless and ended up on the streets, with no money, family, and little desire to live. Since then a few things have changed, the medications did help a bit in the beginning. But later I found diet to be more effective. Second is rest, sympathetic keeps us inflamed but parasympathetic will not be effective unless one has a lengthy, deep cycle sleep. Topping it off is exercise, slowly and easily working through the pain to a full range of motion, stretching and exercising the back and limbs near the pain. Chiropractors will have little effect without the rest of the treatment… message, adjustment, stretching and bending, toe-touches and situps. For now I’m off all my RA meds (up to $2000/mo), no only on 5mg prednisone and some NSAIDS – both for my back no RA. Anyway… thanx for all the posts, it really give me hope of not only being healed myself, but hopefully healing as many others as possible. Hi I’m in the middle of getting test done for RA my blood work came back normal and I still have all the syptoms though. Sever back pain being the number one thing right now it’ started off with alot of joint pain. And now it’s a hot red burning rash on and off . I red that in one of yr stories Kelly and it sounds familiar to what I’m having now . The doctors out were I live have no clue about anything really. Just send me home with some pills that kinda help and a bone scan in a week . I went to the hospital cuz I can’t handle it anymore and he sent off a letter to a specialist and I’m hoping I don’t have to wait long 🙁 . It’s depressing and scary. I have 3 kids one being 2 months. I shouldn’t of ignored the signs While I was pregnant but I just though it was pain from being pregnant intell it got worse since having my baby in October 2013. It’s just gotten worse since then and my anxiety has been of the walls worrying about this . I have alot of the symptoms of this disease. Reading more about it makes me more and more worried . This is a very help full site . I was trying to find sites about RA and this one is the best one ! I’m hoping to find out soon whats going on and if I have RA, hoping I don’t have it but with all the symptoms I’m pretty sure I do , now just how to cope and deal with it though is the next question . I have suffered over the past 10 years from back pain that nobody seems to know what to do with. I was first diagnosed with sciatica. By the next year it was spondylosis. I have had the nerve test which resulted with no damage. I have had the shots in the nerve endings first 12 then 20. Neither helped much. Of course there were prescriptions that over a 2 year period I maxed out. The “good” drugs I’m either allergic to or make extremely ill. I have been to 5 pain management doctors, a neurosurgeon & orthopedic surgeon as well as my regular physician. The last procedure I had done in September was the spinal cord implant. It has helped approximately 70% of the pain. I can sit on the toilet without crying. However I’m mostly bedridden. I’m unable to sit at all. I believe God has a plan even though I may not know what it is. I well my entire family has been altered because of this. We have adjusted not always well but trying to make it work. We still have 2 children at home. This website has helped knowing there are others out there with systems that are not necessarily text book cases. I found your site after searching on RA and DDD. I have DDD and many of the symptoms of RA. I have always tested negative for RA and thus was given the DX of Fibromyalgia. I have also been dx-ed with Atrial Fibrillation and Hyper mobile joints (joint instability). I now find on your site that JI is common in RA. I wonder if I should be retested for RA. I certainly don’t want to have it but want the right diagnosis as I am not quite trusting of the medical field. I had facet injections in my spine also I have stage 3 Rheumatoid and had injections in my l3,4,5,ans my s1. after 3 sets of injections they did a facet rhzodemy (sp wrong) but they burned off the facet nerves because they were touching the root nerve,it helped until I fell again because I have bulging disc and spurs on my spine as well.Also I have lesions on my spine, kidneys,lungs colon ect ect ect. My heart seems to be ok right now but I have anemia and get procret injections for that because the kidneys don’t tell the bone marrow to make red blood cells because of inflammation due from Kidney disease caused by RA meds. Its a viscous cycle I also take Remicade but it does not last but a couple weeks I feel your RA pain. I have been diagnosed for 22 yrs and its been very active and has never gone into remission, at last count I have had over 30+ operations. I honestly could just cry!!!! My back has been killing me as of late, and I have been to the Dr, (family) and Rheumatologist, which have both said that my RA has nothing to do with my back! I had an MRI and it showed a slightly bulging disc and some osteo, but neither of those accounted for the pain I am feeling, my lower back feels sensitive to the touch, while the pain goes all the way down to the sacrum, and is kind enough not to leave the hip out! I am on pain meds, to no avail, I am so tired of feeling like people think I am exaggerating! Thanks for being here, there is hope afterall! Yep I have SI joint problems – my lower back always hurts – I believe it is RA related. My back is killing me .no couldn’t get out of bed all weekend. My rheumatologist saysvRA has nothing to do with back pain but my pain Dr. Says it does. Has any had any luck with a chiropractor? I went to my Rheumy yesterday and my RA is affecting my Facet joints. I asked if this was normal and she said that it is when RA gets bad. Biologics only last about a year with me. Don’t know why. But it’s very frustrating. I am on high doses of Rayos to help combat the inflammation. They are trying to see what new biologic to put me on. They are worried about my lipids.